The girl was home sick from school a couple of days last week, and I was trying to come up with things to amuse her (because she is the least-sick sick kid you have ever seen in your life) so I was casting around for some Valentine things for her to do, since she’s pretty obsessed with the holiday right now. 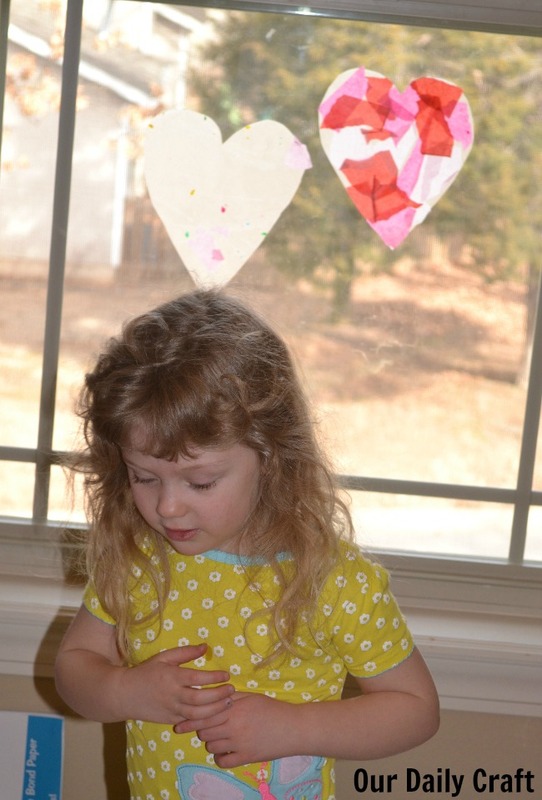 I found these adorable printables from Crystal & Co. that use dot markers, which was perfect. The girl got some fresh dot markers for Christmas, so she was excited to get to use them on these pages. This is my favorite. I want to do a million of them with all sorts of different colors, paint, markers, whatever. She liked it, too, and asked me if she could do some more Valentine’s homework. 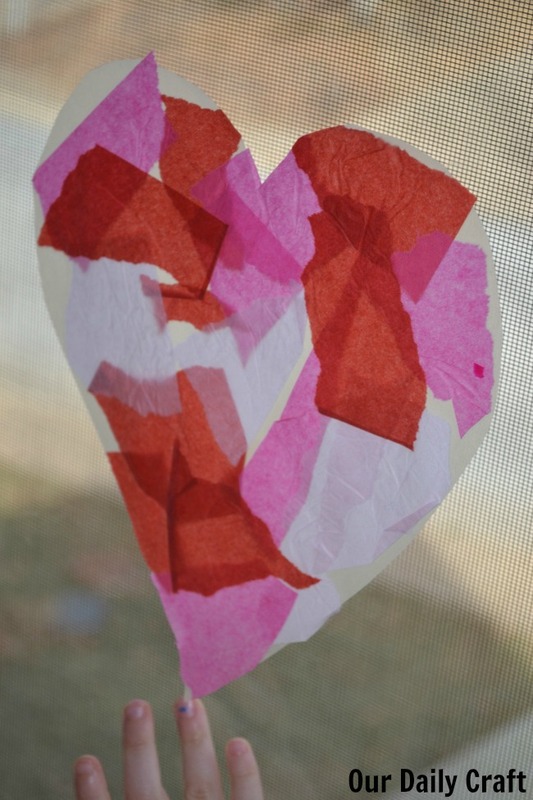 It happened that I had been cleaning up some gift bags and tissue paper and noticed there was a lot of red and pink paper hanging around, so I asked her if she wanted to do something with that. She said yes, so of course I pulled out the contact paper and cut out some heart shapes. I made mine first. She first tried to stick hers to something else and that didn’t work out, so that’s why it has bits of dried paint and random stuff stuck to it. Then she decided she wanted hers all one color so she stuck a big piece of tissue paper on top and we cut it out. It’s still pretty. 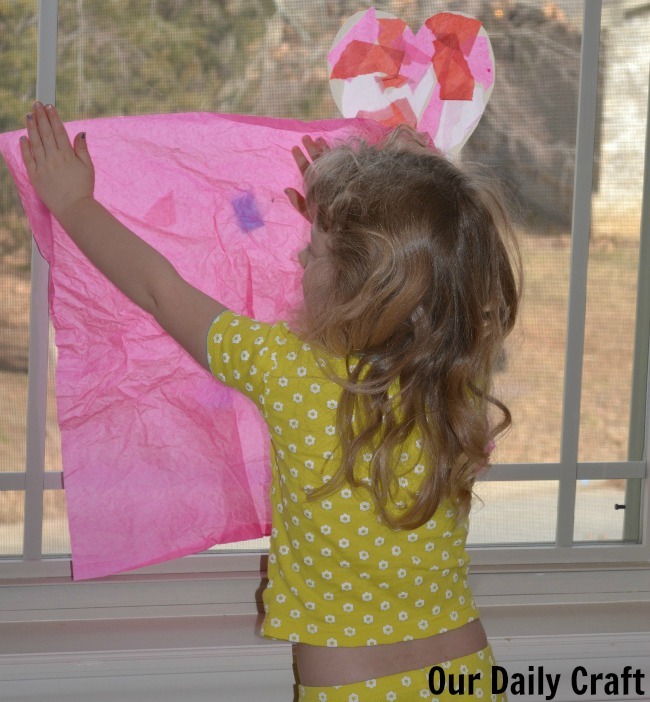 This is such an easy little craft and a lot of fun for different ages, too. I don’t know why we didn’t think of it sooner. We needed to tape hers up because the sticky side is out. 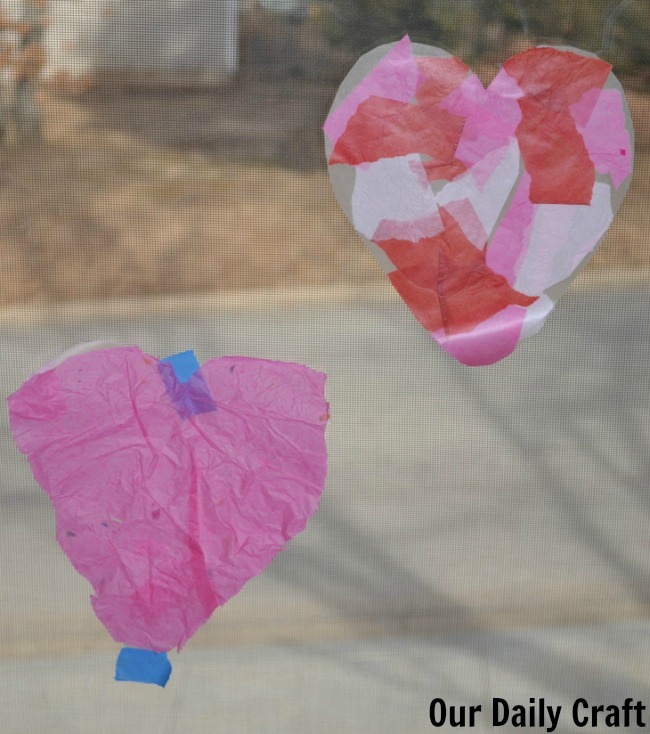 Is your kid excited about Valentine’s Day? I’d love to hear what you’re crafting in your house! This is so cute! Thank you for sharing. It takes me back to when my boys were little and we did all kinds of crafts all the time. Such lovely artwork! 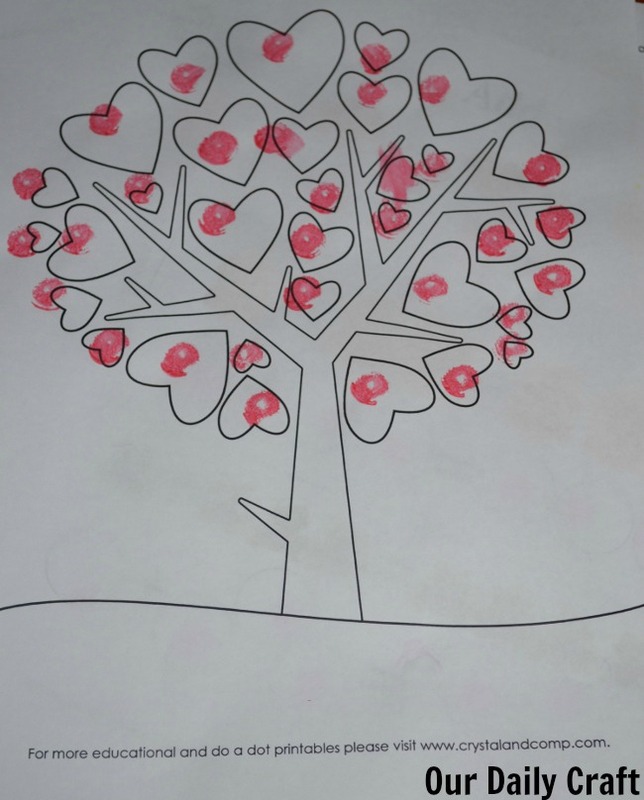 It is so sweet to see how the little ones just love Valentines <3 We are making our own Olaf inspired Valentines for the kid's friends. The fun starts tonight!